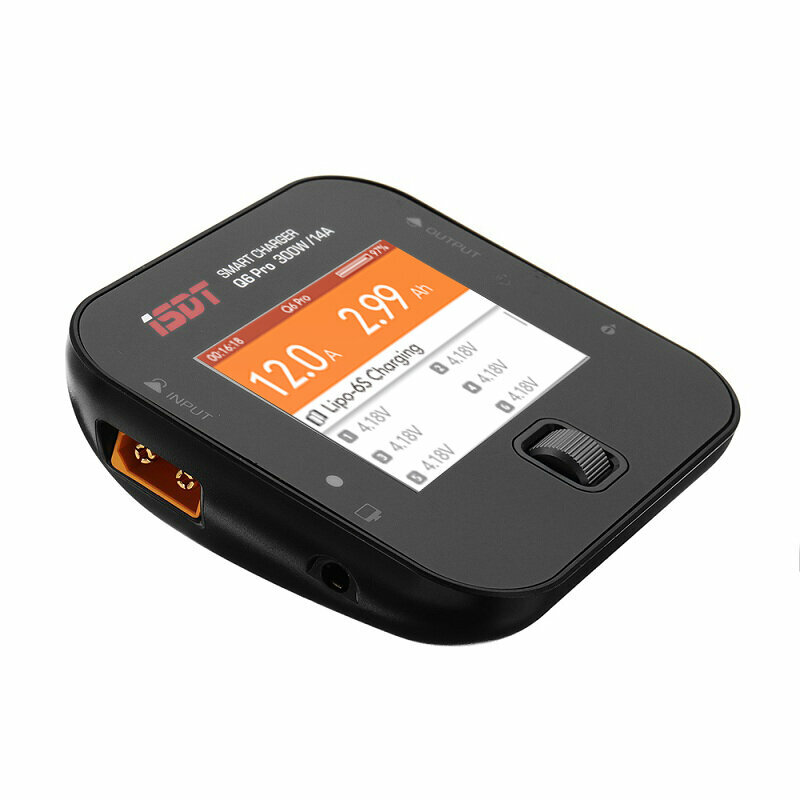 1.Double up the power capacity, and lighter.New ISDT Q6 Pro with rounded edge design easily stows in bag or pocket. Same size as the SC-608 charger with twice the power capacity. 2.The ISDT Q6 Pro come with 2.4″ IPS Display,up to 178° visible angle, auto-brightness screen, still visible under strong sunlight. 3.Highly optimized internal construction with higher cooling efficiency.Higher speed and efficiency synchronous Digital Power Supply Technology.High speed ball-bearing fan promotes active cooling increase by 300%, even though the size has been reduced by 50%. 4.The ISDT Q6 Pro have ARM 32bit high speed Processor, Outstanding performance from every perspective. 5.After the depth of optimization SCOS,Instant Boot, only a few seconds. 6.One key metal shuttle control replaces the multi-button press operation, makes charging with the Q6+ a delightful experience. 7.Third Generation Smart Balance Charger,Increased accuracy, with slight charging voltage adjustment capability. 8.The ISDT Q6 Pro comes in a variety of languages to suit your needs. Batteries pose a SEVERE risk of fire if not properly handled.